Today, we will spend the day touring New York City, visiting some of this city’s most iconic landmarks, like the Empire State Building to overlook this sprawling metropolis. 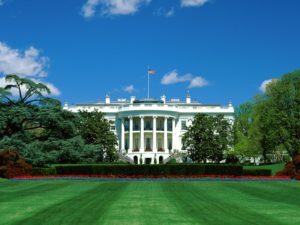 Then, we will take a sightseeing cruise to the Statue of Liberty, followed by the Intrepid Sea, Air, and Space Museum, Wall Street, the New York Stock Exchange, the Charging Bull, Trinity Church, Times Square, Madame Tussauds Wax Museum (start from 4/1/2016, according to the traffic condition in New York, we may visit the wax museum in Washington D.C. instead of New York Madame Tussauds), the Metropolitan Museum of Art, pass by Fifth Avenue, Rockefeller Center, the United Nations Headquarters, Ground Zero, and One World Trade Center. Always Visit Lincoln Memorial This iconic American monument honors the 16th president of the United States. Abraham Lincoln was president during the American Civil War, and is most famous for the Emancipation Proclamation that freed all of the slaves in the US. Today, we will head north to visit the Corning Glass Museum in Corning, NY. Then, we will continue to Niagara Falls, where we can choose to explore on our own or embark on an in-depth tour of the area that includes visits to Whirlpool State Park and Old Fort Niagara. At sunset, we will watch the Thundering Water Cultural Show. Later, we will check into our hotel in the area. To start the day, we will continue our tour of Niagara. We will ride the world-famous Maid of the Mist (No boat operation in winter). If time is available, guests will have chance to take the impressive and exciting Niagara Jet Boat, getting up close to the falls. 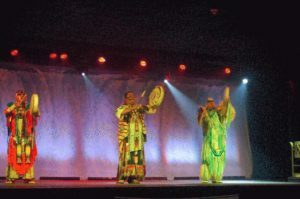 After, guests may choose to see either the Adventure Movie at the Niagara theater or view the Thundering Water Cultural Show. After, we will conclude our tour and transfer to the Niagara-Buffalo airport for flights home. Please see “Departure and Return” for more information. 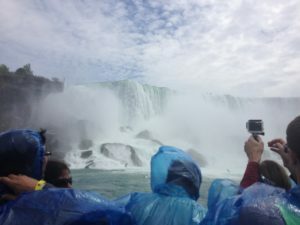 Seasonal Maid of the Mist This famous boat ride gets passengers up close and personal with the Niagara Falls! The Maid rides right into the mists thrown up by the roaring cascade as the Niagara River tumbles over the edge of the falls. Boat Ride These exciting boat rides take passengers on a thrilling trip down the Niagara River! This 45-minute round-trip ride zooms through the Niagara Gorge, and even takes passengers to the famous Whirlpool rapids, all of a custom-built jet boat.